An engineering education and applied research are seen as the driving forces behind economic development in low and middle-income countries. Several recent studies have warned that a shortage of engineers will have dire consequences for developing economies and for achieving the UN’s Sustainable Development Goals (SDGs). Others have highlighted the high rates of unemployment for African engineering graduates, with highly skilled jobs dominated by personnel from elsewhere and a “brain drain” of recent graduates. There is a critical need for highly-qualified personnel with engineering degrees, but that is only part of the story. What is needed is a new approach to supporting applied science in Africa. We need to take a closer look at what’s not working. There is a consensus among industrial leaders, students, and higher education and innovation policy specialists that conventional training methods are failing the next generation of engineers and applied researchers in Africa. We know that there is not enough relevant science, technology, engineering, and mathematics (STEM) research happening in universities, that private-sector investment in research is low, that academics and industry rarely collaborate, that engineering credentials of graduates from African universities are often undervalued, and, more generally, that there is a mismatch between the skills of trainees and the needs of employers. We are living in a time when the power — both positive and negative — of new technologies is increasingly apparent, when youth are increasingly being encouraged to consider STEM careers, and when governments across Africa are increasingly committing to investments in science and higher education. The time is ripe to change how we support applied research and significantly rethink what it means to learn and do engineering in sub-Saharan Africa. One possible way to rethink engineering in sub-Saharan Africa is to apply a proven method that IDRC uses to address bottlenecks to development: an ecosystems approach. This approach allows us to focus on a broader range of actors and institutions and their symbiotic relationships, all of which ultimately impact the quality of research and training. We argue for a focus on two key areas of intervention: transforming curricula and careers, and supporting demand-driven research, including through university-industry partnerships. 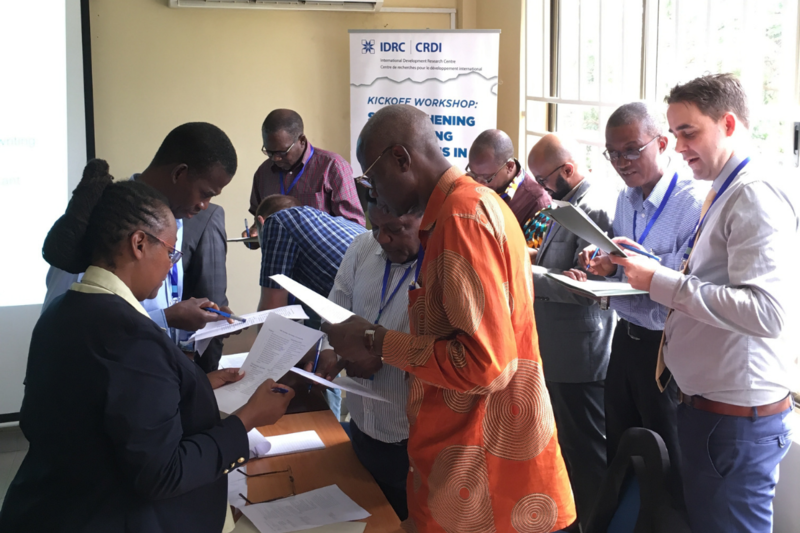 IDRC launched a $1.6 million initiative, Rethinking the engineering ecosystem in sub-Saharan Africa, in December 2018 in Kumasi, Ghana. At the initiative’s inaugural meeting, practitioners, donors, researchers, and policymakers shared ideas and strategies for improving engineering education and opportunities in the West African context. Five project teams across Africa will spend the next three years researching different aspects of this ecosystem and piloting new ways to transform it. Engineering ecosystems refer to a range of institutions and encompass technicians, craftspeople, and instructors, in addition to accredited engineers. They can support everything from the emerging information and communication technology sector, to the transition to renewables, to cutting-edge research infrastructure. We need to raise the profile of the technical and vocational education and training (TVET) sector within the STEM space, help students and instructors engage in applied research, and facilitate connections to national and regional priorities. A new initiative in Kenya is seeking to do just that through a challenge fund that will support employability and innovation in priority areas for national development by enhancing not only training, but also applied research activities at TVET institutions. Beyond professors and instructors, a range of actors in the ecosystem contribute to defining the student experience and the career paths open to them. This is particularly important when addressing the underrepresentation of women in many applied STEM fields in Africa. We must look at how various actors can remove barriers at different stages of women’s careers. This is about changing the gender power dynamics in the classroom and workplace, acknowledging implicit bias, and innovating in how we approach technology development from a gendered perspective. Most importantly we need to rethink curricula to make room for hands-on learning informed by real-world problems. We need the right equipment and the right incentives (e.g., design competitions, recognition of on-the-job learning) to inspire students to think creatively and achieve change through science and technology. While the classroom should not completely replicate the workplace experience, it can provide students with the technical and human skills that serve them well throughout their careers. Advanced training is partially achieved through research. While significant funding for applied research in Africa comes from abroad, setting the agendas should be focused on national and regional needs and challenges. It should be a collaborative process, one that brings together academics with members of the private sector, government, and NGOs. Similarly, doing applied research should be an opportunity to reach out beyond the confines of the university, which benefits both the research itself and the experience of students. Criteria and processes for allocating funding can go a long way in changing how applied research projects are designed and implemented. 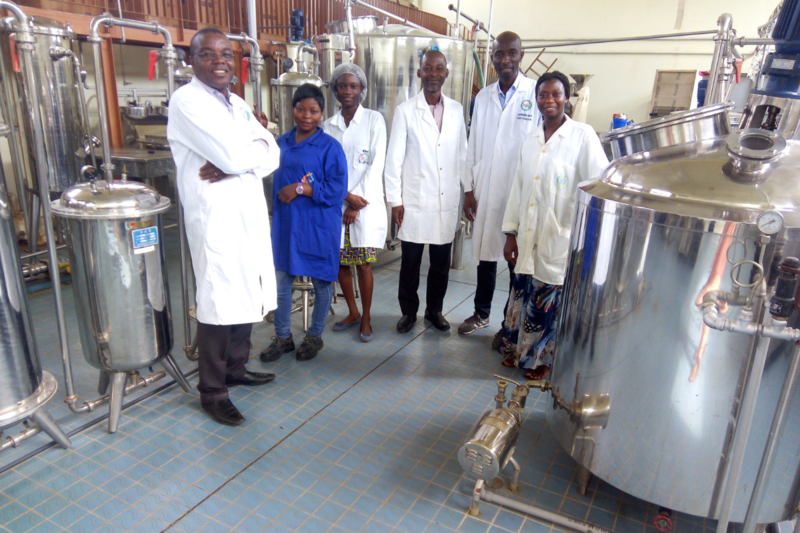 For example, following an IDRC-led competitive call for proposals, chemical engineers from Benin, Canada, Côte d’Ivoire, and Togo have begun a project designed to revolutionize how agro-industrial waste is used. By partnering with local agri-food company Sania, they will also develop high value-added products (such as bioplastics from cashew fruits) and homegrown green technologies that are urgently needed for supporting West Africa’s sustainability transition. Beyond sharing research infrastructure and expertise, some 100 graduate students will use industrial partners as a training ground, gaining valuable applied research experience and becoming young leaders in the region’s “circular economy” (aimed at minimizing waste and making best use of resources). In this way, this “industrial research hub” marries the multinational supply of innovative ideas and talented researchers and staff with demand from the regional industrial landscape. Meanwhile, Senegal is transitioning from fossil fuel-generated electricity to renewables. Beyond existing political will and new infrastructure, a successful energy transition will depend on the skillsets of the country’s engineers, researchers, and technicians. This requires universities to diversify their training modules and attract and retain world-class faculty. A successful transition also requires that companies invest in local talent. 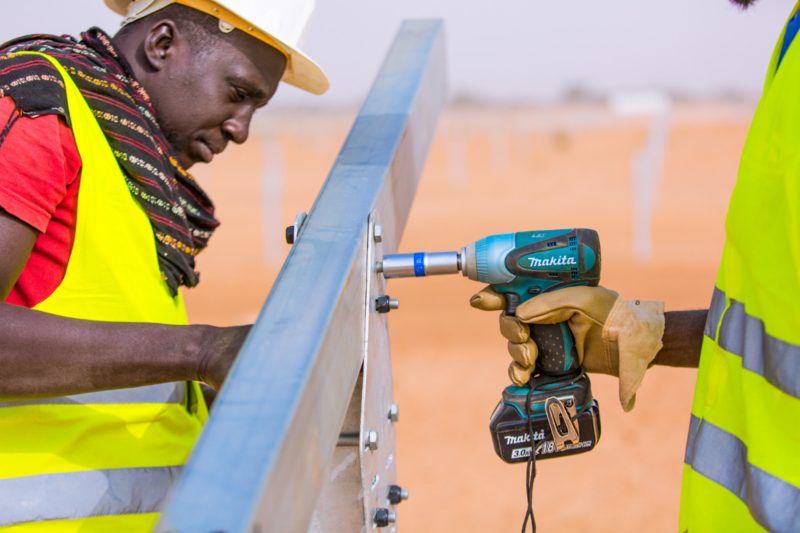 To that end, IDRC and Meridiam, a global infrastructure asset management firm that installs and manages solar power stations in Senegal, are joining forces to do just that through a partnership with the Ecole Supérieure Polytechnique in Dakar. If Côte d’Ivoire is to become a world leader in harnessing agricultural waste to produce high value-added products and Senegal is to become a regional leader in solar energy, both must invest in innovative partnerships, support demand-driven research, and train job-ready students. IDRC’s investments are but one step in changing how we think about applied STEM research and training in Africa. The donor community should increase efforts to invest in science that is responsive to national priorities in addition to those identified in development agendas like the SDGs and the African Union’s Agenda 2063. In order to be effective and maximize impact, international funders need to collaborate with local firms, civil society organizations, and governmental bodies and reflect on entire ecosystems — not just individual pieces of the puzzle.